The GL Opti Sphere 1100 integrating sphere system has been designed for the measurement of luminous flux and radiant power of mid-size LED luminaires and large LED modules, as well as other light sources compliant with the recommendations of the CIE Technical Committee published in the CIE 127:2007 Technical Report. It is the ideal solution for growing LED lighting manufacturers that do not have the space or budget for a 2M or 3M sphere. This easy to use and complete integrating sphere system conforms to CIE S025 standard and American LM79 and other international standards. With a side-opening system that facilitates the easy installation of a variety of light sources, the Opti Sphere 1100 gives you full measurement flexibility that conforms to CIE recommendations. As with all integrating sphere options, the Opti Sphere 1100 can be paired with any of our spectrometers and software tools to deliver the measurement system you need. 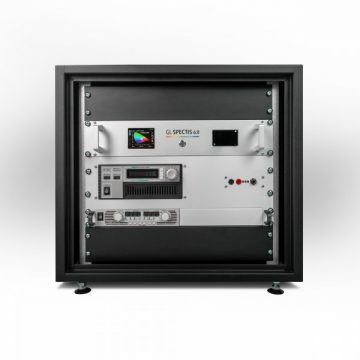 By default, this integrating sphere system comes equipped with a mechanical stage that can be adapted to mount many different fixtures and LED module types. An optional lamp post installed in the center of the sphere makes it easy to install different A type products. Any of our high-performance spectrometers can connect to the sphere and is automatically detected by the software. Load the lamp, and let the software do the rest. 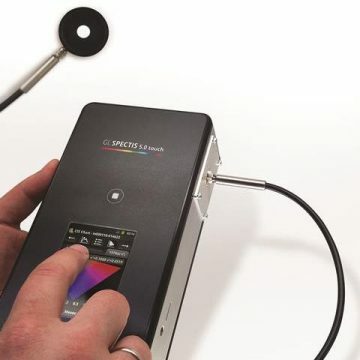 With a wide range of spectrometers and accessories available for the Opti Sphere 1100, you can select the best spectral range and features to fit your budget and technical requirements. Combine with our powerful Spectrosoft Analysis suite software and automation add-on, to have a completely turnkey test station that anyone can use to obtain accurate and repeatable results. This integrating sphere system is still small enough to be installed in an office or production floor space allowing R&D departments and engineers quickly and accurately measure lighting components onsite. Sending lamps and components for testing in the lab means long lead times and ultimately slows down the development cycle. Now, when new fixtures are delivered or a new board is fabricated the results are available immediately. 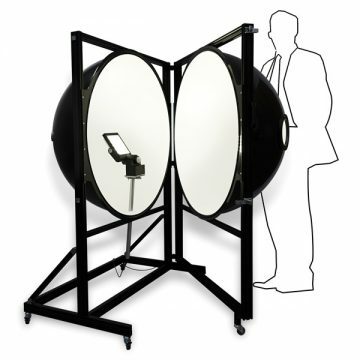 The Opti Sphere 1100 integrating sphere system was designed as a tool that can deliver exceptional luminous flux and color accuracy without the operational complexity associated with other photometric test equipment. A dedicated metrologist or large dark lab are not required. Setup the system and start evaluating your lamps in no time. Our customers appreciate that you can just open the sphere, install the lamp inside and measure. This sphere is equipped with all accessories and components you need and our GL Spectrosoft software interface will help you to do it right. 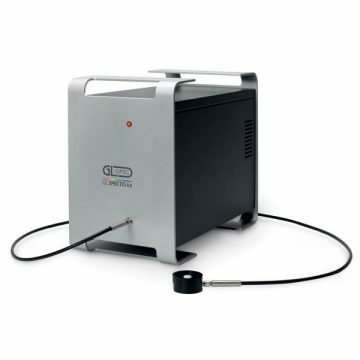 This integrating sphere system is equally suited to accredited laboratory environments, production labs or in R&D for quick quality control. When using external labs becomes too expensive or time-consuming, the Opti Sphere 1100 is an excellent first step into the field of professional test and measurement. Install, measure and prepare customized report directly from our GL Spectrosoft suite. This analytical software will control the measurement instrument, auxiliary light source and optionally manage peripheral devices like programmable and stabilized power supplies or TEC controllers. All these can be included in one complete measurement report. The size of the integrating sphere and the side-opening system facilitate the easy installation of a variety of light sources using additional adapters or holders, allowing full measurement flexibility. Conforming to CIE recommendations, front emitting diodes can be measured at the wall entrance in 2π geometry while other types of LEDs or other sources with wider emission are measured at the center of the sphere in 4π geometry. The integrating sphere is made of a composite material which guarantees high durability and low weight. The entrance of the integrating sphere is equipped with a specially designed 168mm entrance aperture which can be used for calibration purposes. Additional accessories can be installed as required by specific measurement scenarios. In order to obtain top measurement accuracy, the GL OPTI SPHERE 1100 has been equipped with an auxiliary light source to compensate for the self-absorption effect of the test LED.